The perspective of food, restaurants, and recipes through my eyes. What Exactly is a Pit master? In the world of barbecue, there are many terms and words that get thrown around. None more than “Pitmaster”. Now what exactly is a Pitmaster? If you look up the definition, there may be several. Some say it is someone who has their own barbecue pit (smoker), and they are very good with it. Some say a pitmaster is someone who has mastered the art of creating great BBQ. What do I say? I say a true pitmaster is someone who, not only has mastered their techniques to create great BBQ, but they are capable of using any pit, or grill to do so. Now, we all know of, or have a family member, whom we consider a pitmaster. We all also know of someone who would consider themselves a master of the pit. In either case, the proof is in the pudding, as they say. 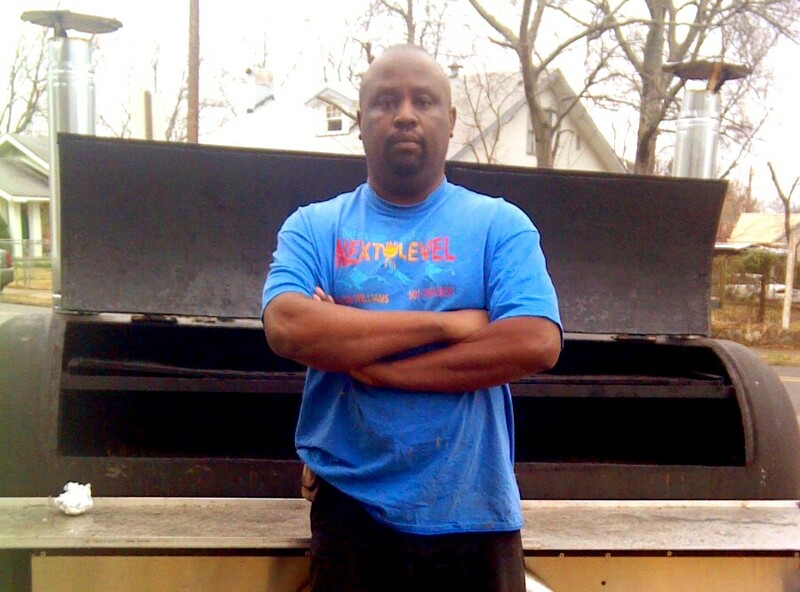 A true BBQ master takes every aspect of cooking and makes it seem effortless. From the pit, the wood, rub, temperature, prep techniques, and sauce, all come together to make great BBQ. Consistency is the key. If you aren’t consistent, you will never be a true pitmaster. Do I consider myself to be a pitmaster? No. It takes time, lots of effort, lots of love and passion. Will I ever achieve to the level of bona fide pitmaster? When I do, I will let you know. This entry was posted in Uncategorized on February 10, 2015 by Louis Williams. Thick or Thin. What’s Your Burger Type?